Looking for Jiffy for JFK? If you’re traveling out of JFK, Park with Jiffy Airport Parking! 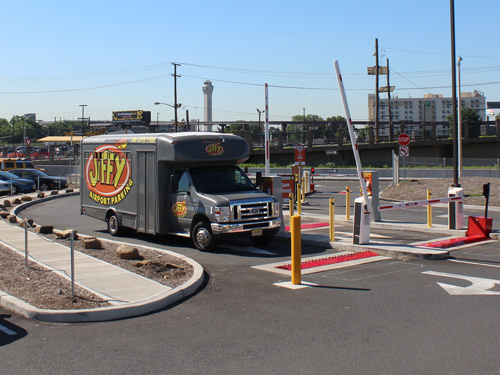 Jiffy Newark Airport Parking gives customers an excellent parking experience for their long-term or overnight parking needs. 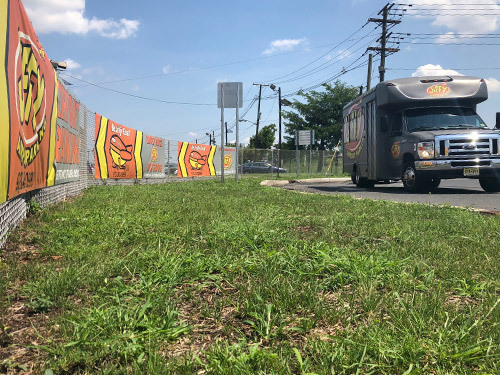 Our off-site Newark Airport parking lot is located just two miles down the road from Newark Liberty International Airport. 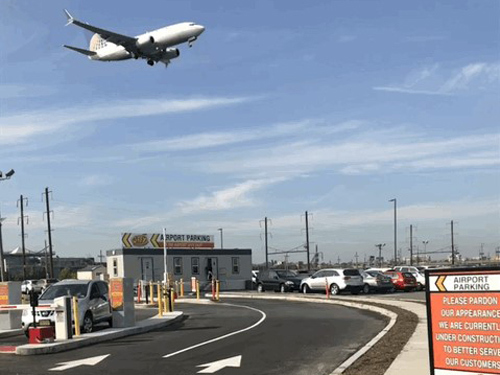 Looking to park for the lowest rates near Liberty International Airport? Jiffy Newark provides customers with the best rates for their reservation when you reserve for free online. Our self-park facility lets you choose where you park your vehicle for the duration of your trip. Jiffy Newark shuttles are running around the clock so no matter what time your flight is taking off or coming into Newark Liberty International, our attendants are ready to take you to your next destination. Our customers love our attention to detail, that’s why you can always count on our team to be there for you when you need assistance. 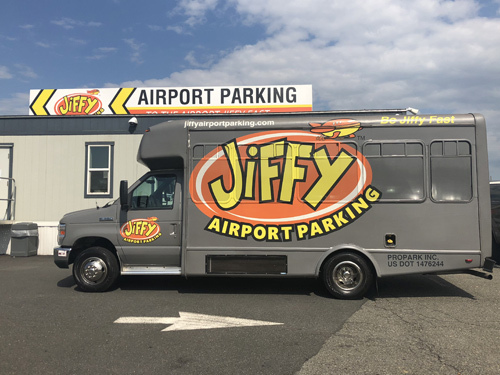 In addition, you can always count on Jiffy Newark for quality service 24/7, consistent shuttles to and from Newark Liberty International Airport’s terminal, as well as a positive attitude to brighten your day. 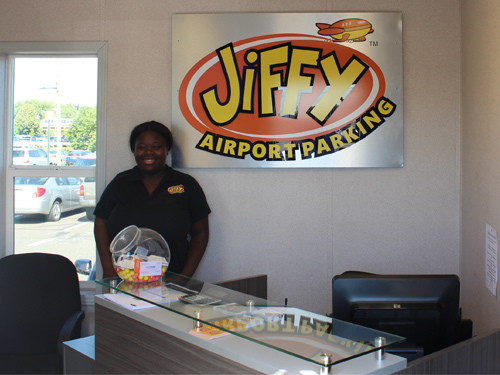 Businesses whose employees frequently fly can enroll in our corporate discount program to enjoy significant discounts at Jiffy Airport Parking. Register your company online for access to the lowest-priced premium parking deals. Your employees will love their Newark airport parking experience with guaranteed parking reservations and easy discounts. 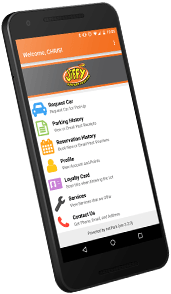 As a Jiffy Rewards member, you can book your JFK airport parking reservations from our Jiffy Parking mobile app! Simply download the app from Apple App Store for iOS and from the Google Play Store for Android devices. With the app, customers can make their own reservations and change reservation dates on the fly. Our mobile app allows you to manage your entire customer loyalty account, right from your smartphone or other compatible mobile device.